"Contest is competition - but there was no competition." 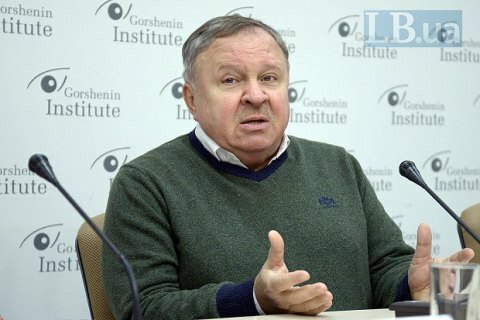 The selection of judges in the Constitutional Court on a competitive basis causes scepticism and creates a "dead-end situation", the main expert of the constitutional reform group and a former judge of the Constitutional Court, Volodymyr Shapoval, told a round table conference in Gorshenin Institute on Wednesday, 20 December. The expert believes it would be better to create a single commission for the selection of CC judges rather than through the so-called "quotas" from the congress of judges, parliament and the president. Shapoval says that committees for the selection of candidates are created in an non-transparent manner create grounds for biased decisions. "We are not accustomed to being public. The transparent work of any body is fraught with criticism from outside. It is much more comfortable, when everything is done behind the scenes," he said. Shapoval expressed scepticism regarding the candidates to the posts of CC judges. "I looked at the list of candidates for the office of the Constitutional Court on the quotas of the president and the parliament. I do not want to be judgemental, but there is one problem. The job of Constitutional Court judge is a very specific activity. The experience of other countries shows that a judge of the Constitutional Court is an analyst. I understand the state of scientific community, which, unfortunately, does not produce a large number of analysts, but still there they are. I noticed that a lot of significant people with strong background have not filed. Why? Because they do not believe," said Shapoval. In his opinion the selection of CC judges was hardly a "contest." "Contest is another word for competition, but here there is no competition beyond names and support groups. Contestants must offer themselves and their qualifications, and this can be done only in the process of the objective of competition, which did not happen," said Shapoval.